I read cookbooks. Is that weird? When I get a new cookbook, I read the introduction, pour over each recipe and treat is like any other book in my collection. I love to cook and am constantly wanting to better my craft, learn new skills and become the best home cook I can. 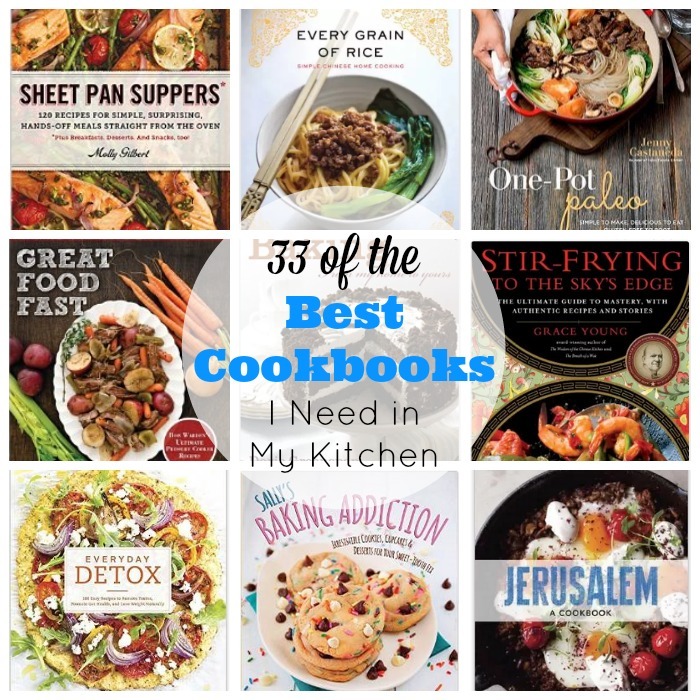 So what are some of the best cookbooks I either have or really need in my kitchen? Here’s my list. 1. 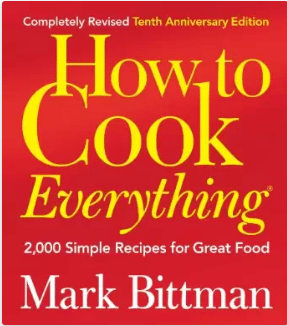 How to Cook Everything (Completely Revised 10th Anniversary Edition): 2,000 Simple Recipes for Great Food — I have two of Mark Bittman’s cookbooks and this is one of them. If you you’re wanting to learn the basics, brush up on the basics or give a gift to a newlywed – this is a perfect choice. Mark Bittman’s award-winning How to Cook Everything has helped countless home cooks discover the rewards of simple cooking. 2. The Kitchn Cookbook: Recipes, Kitchens & Tips to Inspire Your Cooking — If you’re familiar with Apartment Therapy’s cooking site, The Kitchn, then you’ll appreciate this book. 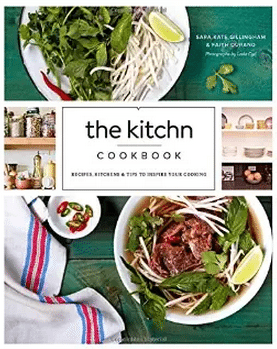 It’s filled with 150 recipes and a cooking school with 50 essential lessons, as well as a guide to organizing your kitchen–plus storage tips, tool reviews, inspiration from real kitchens, maintenance suggestions, 200 photographs, and much more. 3. 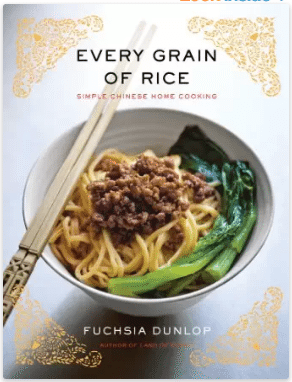 Every Grain of Rice: Simple Chinese Home Cooking — A must-have for anyone who wants to cook Chinese food at home, home cooks and professionals alike. Every Grain of Rice is inspired by the vibrant everyday cooking of southern China, in which vegetables play the starring role, with small portions of meat and fish. 4. 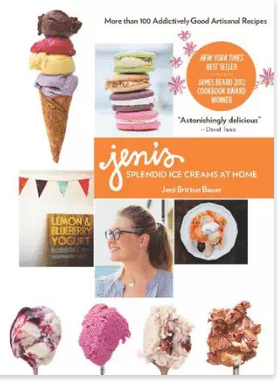 Jeni’s Splendid Ice Creams at Home — You had me at ice cream. At last, addictive flavors, and a breakthrough method for making creamy, scoopable ice cream at home. 5. 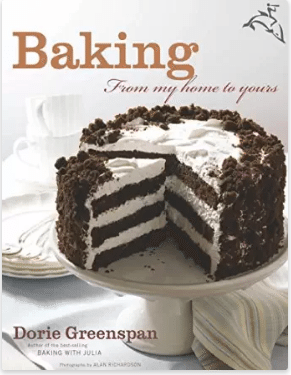 Baking: From My Home to Yours — From toasted almond scones to Granola Grabbers, this collection of 230-plus immediately attractive recipes range from breakfast sweets, cakes, and tarts to puddings, custards, ice creams, and crisps. 6. 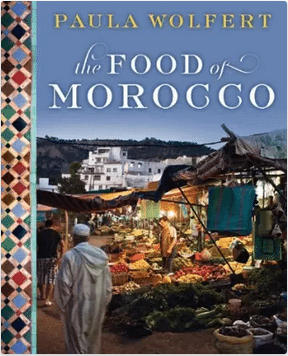 The Food of Morocco — The Food of Morocco provides helpful preparation techniques for chefs, home cooks, and any serious student of the culinary arts and culture. 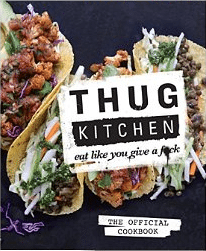 From what I’ve read about this cookbook, it’s more than just a cookbook, but a work of art with detailed and clear directions. 7. 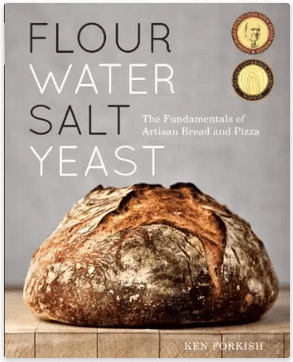 Flour Water Salt Yeast: The Fundamentals of Artisan Bread and Pizza — From Portland’s most acclaimed and beloved baker comes this must-have baking guide, featuring recipes for world-class breads and pizzas and a variety of schedules suited for the home baker. 8. 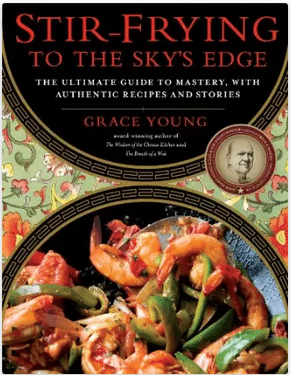 Stir-Frying to the Sky’s Edge: The Ultimate Guide to Mastery, with Authentic Recipes and Stories — the authoritative guide to stir-frying: the cooking technique that makes less seem like more, extends small amounts of food to feed many, and makes ingredients their most tender and delicious. Perfect for weeknight family meals. 9. 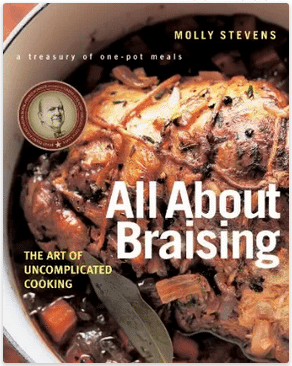 All About Braising: The Art of Uncomplicated Cooking — From the perfect pot roast to the fragrant complexity of braised endive, there’s no food more satisfying than a well-braised dish. 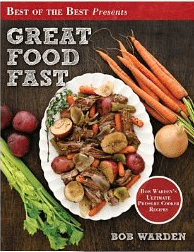 Featuring 125 reliable, easy-to-follow recipes for meat, poultry, seafood, and vegetables, ranging from quick-braised weeknight dishes to slow-cooked weekend braises. It also includes planning tips to highlight the fact that braised foods taste just as good, if not even better, as leftovers. 10. 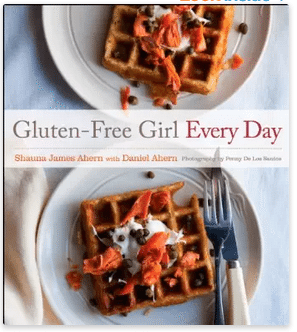 Gluten-Free Girl Every Day — This cookbook features food you want to cook every day: fresh, satisfying, and filled with great flavors. 120 gluten-free recipes for weeknight dinners and desserts, including suggestions for foods that can be made ahead or frozen to make dinnertime easier. 11. 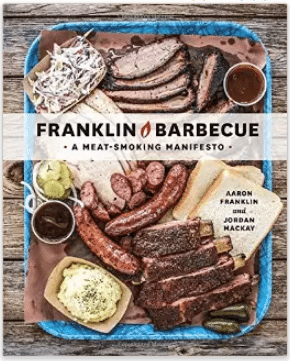 Franklin Barbecue: A Meat-Smoking Manifesto — A complete meat- and brisket-cooking education from the country’s most celebrated pitmaster and owner of the wildly popular Austin restaurant Franklin Barbecue. Perfect for the backyard pitmaster, with chapters dedicated to building or customizing your own smoker; finding and curing the right wood; creating and tending perfect fires; sourcing top-quality meat; and of course, cooking mind-blowing, ridiculously delicious barbecue, better than you ever thought possible. 12. 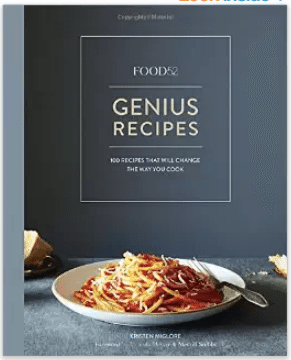 Food52 Genius Recipes: 100 Recipes That Will Change the Way You Cook — From the premier online community for cooks at all levels, Food52.com, comes a cookbook filled with the 100 best recipes passed down from chefs, bloggers and cookbook authors. 13. 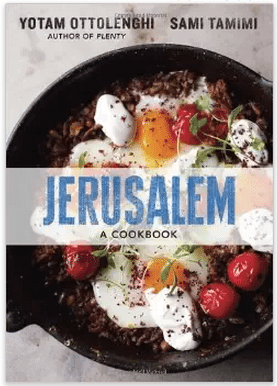 Jerusalem: A Cookbook — A collection of 120 recipes exploring the flavors of Jerusalem featuring inventive vegetable dishes to sweet, rich desserts. 14. 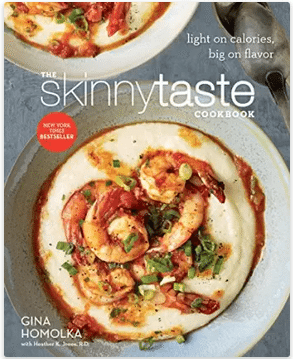 The Skinnytaste Cookbook: Light on Calories, Big on Flavor — Gina Homolka is America’s most trusted home cook when it comes to easy, flavorful recipes that are miraculously low-calorie and made from all-natural, easy-to-find ingredients. Her blog, Skinnytaste is the number one go-to site for slimmed down recipes that you’d swear are anything but. Featuring 150 amazing recipes: 125 all-new dishes and 25 must-have favorites. 15. Danielle Walker’s Against All Grain: Meals Made Simple: Gluten-Free, Dairy-Free, and Paleo Recipes to Make Anytime — Beloved food blogger and New York Times bestselling author Danielle Walker is back with over 100 new Paleo recipes in her sophomore cookbook, Meals Made Simple–a collection of gluten-free, dairy-free, and Paleo-friendly recipes for easy weeknight meals. 16. 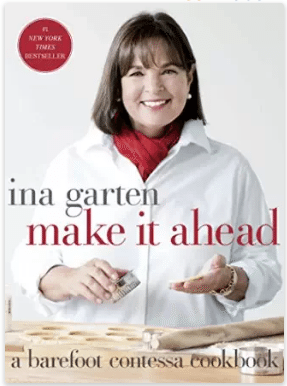 Make It Ahead: A Barefoot Contessa Cookbook — For the first time, trusted and beloved cookbook author Ina Garten, the Barefoot Contessa, answers the number one question she receives from cooks: Can I make it ahead? In Make It Ahead, each recipe includes clear instructions for what you can do ahead of time, and how far in advance, so you can cook with confidence and eliminate last-minute surprises. 17. 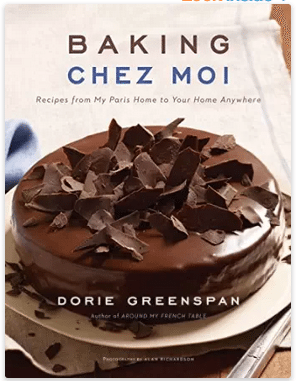 Baking Chez Moi: Recipes from My Paris Home to Your Home Anywhere — An exciting collection of simple desserts from French home cooks and chefs. 18. 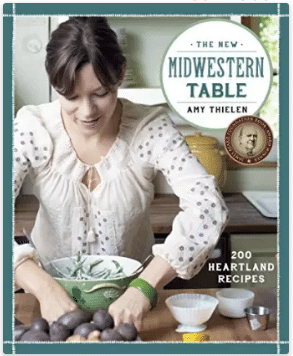 The New Midwestern Table: 200 Heartland Recipes — with 200 recipes that herald a revival in heartland cuisine and 150 color photographs, this cookbook will cause any home cook to fall in love with the captivating flavors of the American heartland. 19. 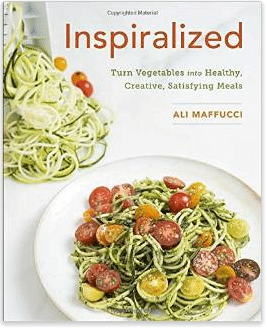 Inspiralized: Turn Vegetables into Healthy, Creative, Satisfying Meals — I’ll never forget the day I was introduced to zucchini noodles. It’s now a family favorite! The definitive cookbook for using a spiralizer: the kitchen gadget that turns vegetables and fruits into imaginative, low-carb dishes. 20. 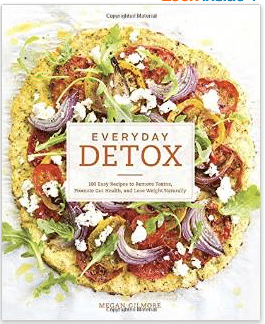 Everyday Detox: 100 Easy Recipes to Remove Toxins, Promote Gut Health, and Lose Weight Naturally — Sometimes your body just needs a good cleansing and doing it naturally with foods you know, is the perfect way to go. No counting calories or fasting required. You’ll feel better, sleep better and have more energy when you incorporate these 100 recipes into your daily life. 21. 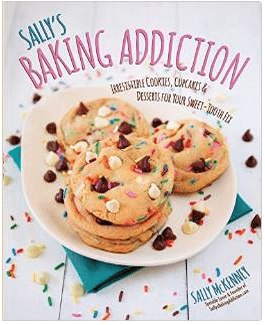 Sally’s Baking Addiction: Irresistible Cookies, Cupcakes, and Desserts for Your Sweet-Tooth Fix — I’ve seen her stunning recipes all over Pinterest and now they’re available in a cookbook. Named by Huffington Post as one of the “Top 10 Food Blogs to Watch” in 2013, Sally’s Baking Addiction has skyrocketed in popularity since its inception in late 2011. Featuring a brand new selection of desserts and treats, the Sally’s Baking Addiction Cookbook is fully illustrated and offers 75 scrumptious recipes for indulging your sweet tooth–including a chapter of healthier dessert options for those who follow a vegan or gluten-free lifestyle. With dozens of simple, easy-to-follow recipes, you get all of the sweet with none of the fuss! 22. One-Pot Paleo: Simple to Make, Delicious to Eat and Gluten-free to Boot — If you’re wanting healthy, easy, paleo meals for busy weeknights – this is the cookbook for you. Paleo cooking has never been so easy! 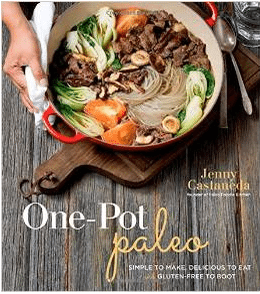 In One-Pot Paleo, Jenny Castaneda shares delicious recipes for enticing Paleo meals that only require one pot, pan or bowl. 24. 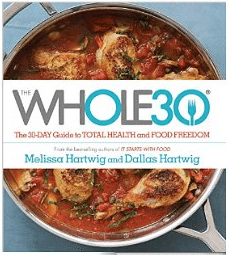 Wheat Belly 30-Minute (or Less!) 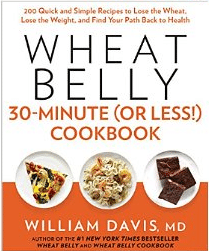 Cookbook: 200 Quick and Simple Recipes to Lose the Wheat, Lose the Weight, and Find Your Path Back to Health — Wheat Belly shook the foundations of the diet world when author and renowned cardiologist William Davis revealed that an epidemic of adverse health effects–from mysterious rashes and high blood sugar to stubborn belly fat (so-called “wheat bellies”)–could be banished forever with one simple step: Saying goodbye to wheat. The Wheat Belly Cookbook built on that foundation with hundreds of delicious, family favorite recipes with a wheat-free makeover. Now, it’s easier than ever with this collection of yummy recipes that are quick enough for busy weekdays–and good enough for company. 25. 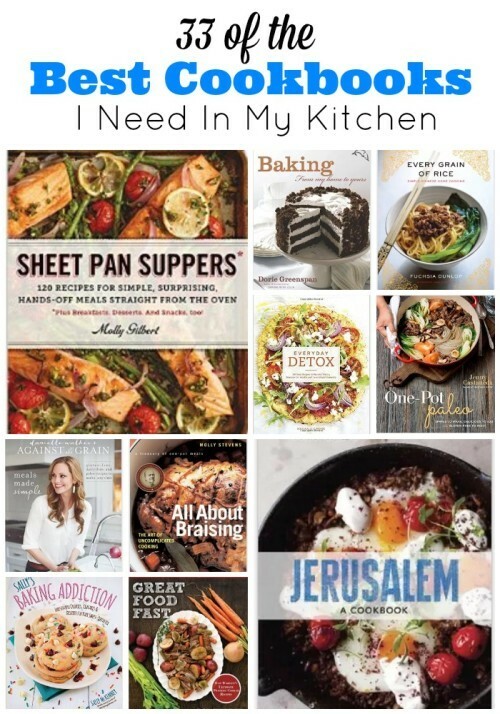 Sheet Pan Suppers: 120 Recipes for Simple, Surprising, Hands-Off Meals Straight from the Oven — I really like this method of cooking and more recipes for my repertoire would be fabulous. It’s the one-pot meal reinvented, and what is sure to become every busy cook’s new favorite way of getting dinner on the table. 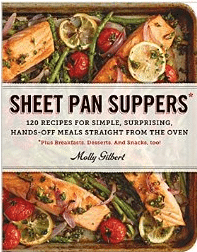 It’s Sheet Pan Suppers—a breakthrough full-color cookbook with more than 120 recipes for complete meals, snacks, brunch, and even dessert, that require nothing more than a sheet pan, your oven, and Molly Gilbert’s inspired approach. 26. 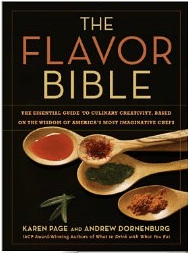 The Flavor Bible: The Essential Guide to Culinary Creativity, Based on the Wisdom of America’s Most Imaginative Chefs — You can cook something that looks pretty good and edible, but if it has no flavor, I consider it a flop. A good recipe and cook, is all about knowing how to season properly. Drawing on dozens of leading chefs’ combined experience in top restaurants across the country, Karen Page and Andrew Dornenburg present the definitive guide to creating “deliciousness” in any dish. Thousands of ingredient entries, organized alphabetically and cross-referenced, provide a treasure trove of spectacular flavor combinations. Readers will learn to work more intuitively and effectively with ingredients; experiment with temperature and texture; excite the nose and palate with herbs, spices, and other seasonings; and balance the sensual, emotional, and spiritual elements of an extraordinary meal.Seasoned with tips, anecdotes, and signature dishes from America’s most imaginative chefs, THE FLAVOR BIBLE is an essential reference for every kitchen. 27. 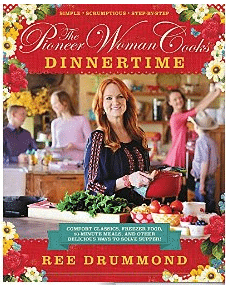 The Pioneer Woman Cooks: Dinnertime: Comfort Classics, Freezer Food, 16-Minute Meals, and Other Delicious Ways to Solve Supper! 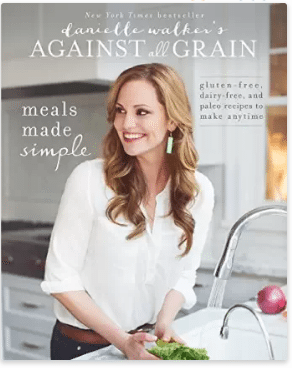 — She’s one of my favorite bloggers and Food Network stars and her cookbooks do not disappoint. The #1 bestselling author and Food Network personality at last answers that age-old question—“What’s for Dinner?”—bringing together more than 125 simple, scrumptious, step-by-step recipes for delicious dinners the whole family will love. 28. 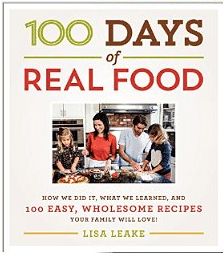 100 Days of Real Food: How We Did It, What We Learned, and 100 Easy, Wholesome Recipes Your Family Will Love — The creator of the 100 Days of Real Food blog draws from her hugely popular website to offer simple, affordable, family-friendly recipes and practical advice for eliminating processed foods from your family’s diet.Inspired by Michael Pollan’s In Defense of Food, Lisa Leake decided her family’s eating habits needed an overhaul. She, her husband, and their two small girls pledged to go 100 days without eating highly processed or refined foods—a challenge she opened to readers on her blog. 29. Great Food Fast — Make delicious family meals in a third of the time! Sounds good to me! With the help of thousands of reader reviews, forum posts, and comments, Bob has now created recipes that are highly tuned to what his customers want. He didn’t have to go back to the drawing board, just back into the kitchen where he developed over 120 of his very best pressure cooker recipes ever, including five of his signature recipes that he perfected to even greater heights. Wait till you taste the Best Ever Macaroni and Cheese, and his richer, tastier, gravy-er Perfected Pot Roast! And all of this is done in one third of the time. 30. 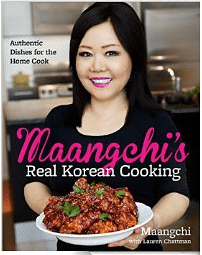 Maangchi’s Real Korean Cooking: Authentic Dishes for the Home Cook — I love it when a chef takes a style or form of cooking and makes the recipes easy, and the ingredient list accessible for home cooks. That’s exactly what YouTube star and the world’s foremost authority on Korean cooking has done. For beginners, there are dishes like Spicy Beef and Vegetable Soup and Seafood Scallion Pancake. Maangchi includes a whole chapter of quick, spicy, sour kimchis and quick pickles as well. Banchan, or side dishes (Steamed Eggplant, Pan-Fried Tofu with Spicy Seasoning Sauce, and refreshing Cold Cucumber Soup) are mainstays of the Korean table and can comprise a meal. With her step-by-step photos—800 in all—Maangchi makes every dish a snap. A full glossary, complete with photos, explains ingredients. Throughout, Maangchi suggests substitutions where appropriate and provides tips based on her readers’ questions. 31. 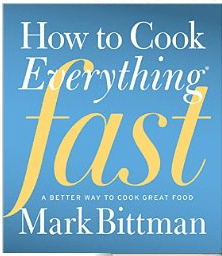 How to Cook Everything Fast: A Better Way to Cook Great Food — Another favorite cookbook of mine from Mark Bittman. Homemade wonton soup in 30 minutes. Chicken Parmesan without dredging and frying. Fruit crisp on the stovetop. The secret to cooking fast is cooking smart—choosing and preparing fresh ingredients efficiently. In How to Cook Everything Fast, Mark Bittman provides a game plan for becoming a better, more intuitive cook while you wake up your weekly meal routine with 2,000 main dishes and accompaniments that are simple to make, globally inspired, and bursting with flavor. 32. 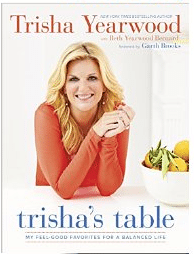 Trisha’s Table: My Feel-Good Favorites for a Balanced Life — Country music superstar, Food Network standout, and bestselling cookbook author Trisha Yearwood shows how delicious foods and wholesome dishes are part of the same balanced lifestyle. In Trisha’s Table, you’ll find brand-new dishes emblematic of the variety and balance Trisha champions. They skimp on anything but flavor, including dairy-free Angel Hair Pasta with Avocado Pesto, low-calorie Billie’s Houdini Chicken Salad, vegetarian Smashed Sweet Pea Burgers, and tasty, high-protein Edamame Parmesan, alongside too-good-to-give-up family favorites, such as Slow Cooker Georgia Pulled-Pork Barbecue, Chicken Tortilla Casserole, Snappy Pear-Cranberry Crumble, and Chocolate Chip Cookie Dough Balls.